[43% OFF] 2019 Button Up Top And Striped Shorts Set In MULTI | ZAFUL .. This two-piece set is made even more delightful with the combination of a solid top and the charming striped shorts. 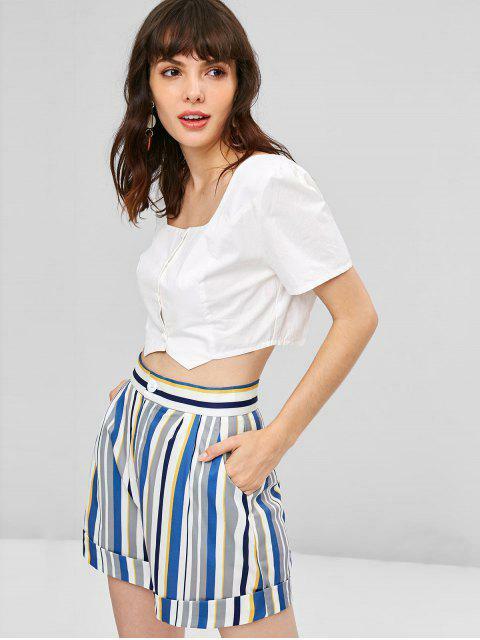 The top is edgy with a button-up closure and a square collarline with a cropped fit, which is a good match to going with the high waisted striped shorts that are ended with a rolled up hem and two side pockets.